Is there a way to schedule an early morning ride from Lyft ahead of time? Can I make a reservation on Uber? What is Scheduled Ride? Did you know that Uber offers scheduled rides for passengers? You no longer have to worry about waking up early to request your ride to the airport or train station! Instead, you can easily schedule your Uber ride in advance, right from your phone. With Uber's scheduled rides you can request a car up to 30 days to as little as 15 minutes ahead of time! 1. Open your Uber app and click on the "car and clock icon" on the right hand side of the "Where to?" field. 2. Next you will be prompted to set your pickup date and time. When you have set the correct date and time click "Set Pickup Time". 3. Once you have set your desired pickup time, you will be asked to enter in your pick up and drop off addresses. 4. After adding in your pick up and drop off locations, select which Uber service you prefer to take (UberX, UberXL, etc.). Find a list of available Uber services around the world here. 5. Once you have selected your car type, Uber will show you your estimated fare. If all looks good, cllick on "Schedule Uber". 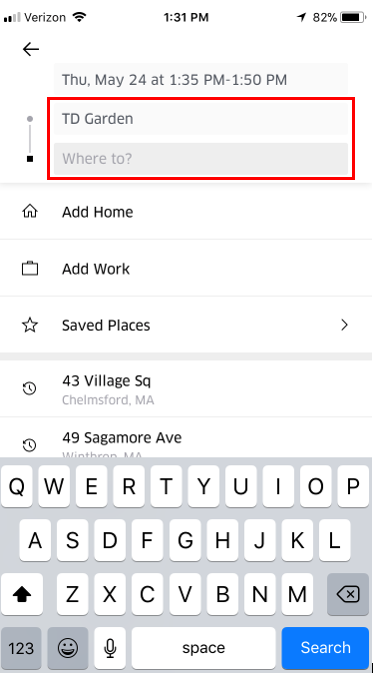 Uber allows you to edit or cancel at any time before your ride is ready. Uber will send you reminders the day of your scheduled trip and will notify you when your ride is on the way. They will also let you know if surge pricing applies to your trip. On the driver side, when the driver gets a request, they are able to see that the ride was scheduled in advance. Some drivers say this makes them more likely to accept the ride because they know the passenger will show up. Uber currently offers scheduled rides in most major cities. 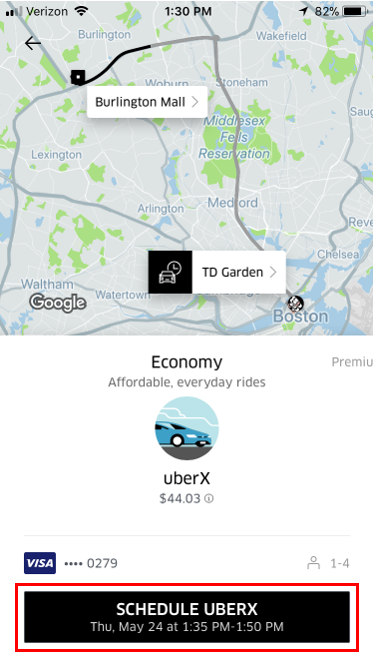 To see if scheduled rides are available in your area, open your Uber app and check to see if you have a "schedule" icon. 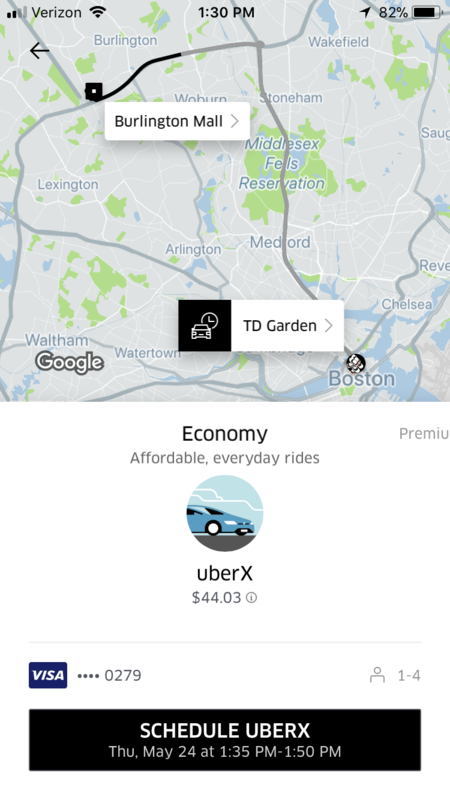 Note: Keep in mind that scheduled rides with Uber are not guaranteed. Uber drivers are independent contractors, and they can work on their own time and schedule. This means that there is no guarantee that an Uber driver will be available at the time and location when you are looking for a ride. However, our team has found that in most cases Uber scheduled rides are pretty reliable! 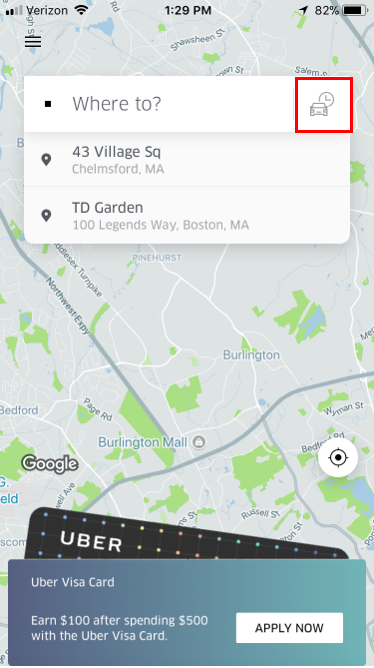 The one thing that Uber does is monitor the availability of cars in your area, and if they find that there are no cars available, Uber will notify you immediately so you can make other arrangements. Just a reminder that the rides are not guaranteed. Here's a good Q&A on that. Except that the text above says that it is guaranteed, while the text after seems to say the opposite. The author of this article needs to check that again, it's very confusing. "Note: Keep in mind that scheduled rides with Uber are guaranteed. Uber drivers are independent contractors, and they can work on their own time and schedule. This means that there is no guarantee that an Uber driver will be available at the time and location when you are looking for a ride." Thanks for pointing out this error MykaForrest! We have gone ahead and fixed the typo to say that "scheduled rides with Uber are not guaranteed". What is there is NO car & clock to click on? If you want a guaranteed pick up then Download the UZURV Rider app and use invite code GZZZYD for three free reservations. I can guarantee you a driver will be there once you request your pick up at your scheduled date and time. What about early weekend requests to airports (like 6am)? Is it 100% guarnteed? Located in Laurel, MD going to Raegan. I love this article - I'm totally torn. I don't know if I should schedule my ride in advance or just wait for it to come on-demand. Sometimes it just takes so long for my ride to get there, but then again, what if I'm done sooner than I planned? I scheduled a ride the other day to get to work and my ride never came! WTH Uber! I hate how they make people think that this is like a taxi company when in reality, there is no guarantee that a ride will come pick you up. I've actually never had the problem of my scheduled ride not showing up. Maybe it's because I live in New York City, and there are always a ton of drivers out, even at 5am. I guess ask others in the area before making your travel plans to see if it's reliable! Just order a taxi, the original "scheduled ride". Then you will know your ride is guaranteed. My Android app v.4.223 for scheduling a future ride, shows a calendar to select a date and then a 12 hour clock to select the time. But I can't change pm to am to select a time for tomorrow morning. Your screen shot show an entirely different screen to select date and time. Is it on an iPhone? Is my app out-of-date?